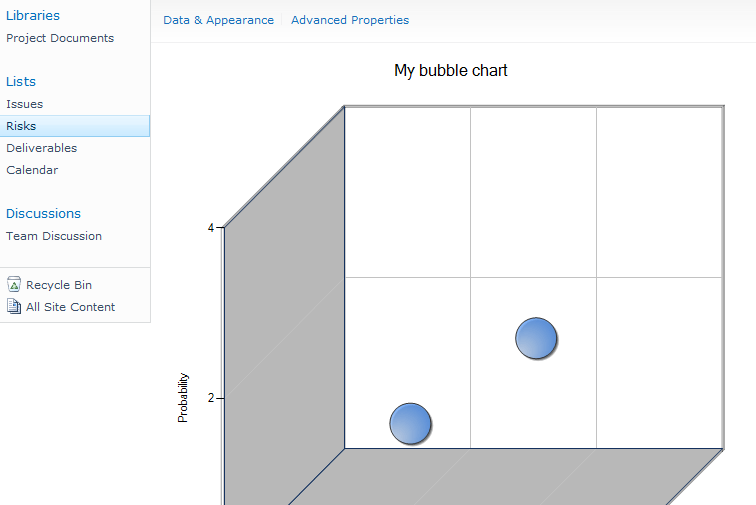 Ok, so your organization needs some bubble charts built from your Microsoft Project Server 2010 data. 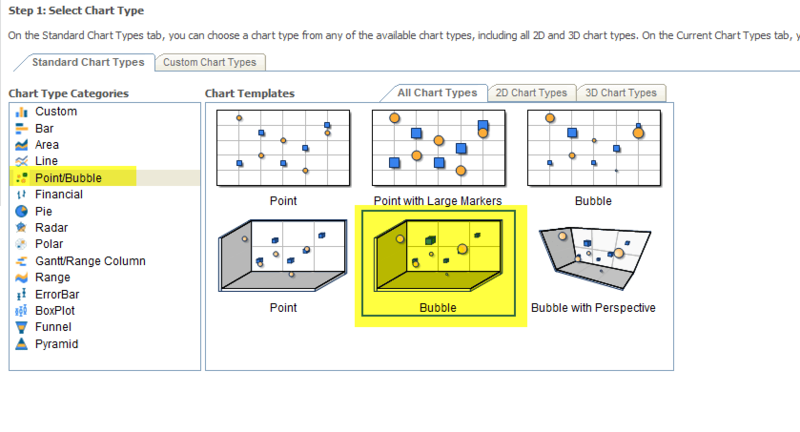 You have tried using Excel but it keeps prompting you for not being able to create bubble charts from pivot table data. You have tried using Performance Point from your PWA site, but this doesn´t help as there is no option for choosing a bubble chart…now what? 4. 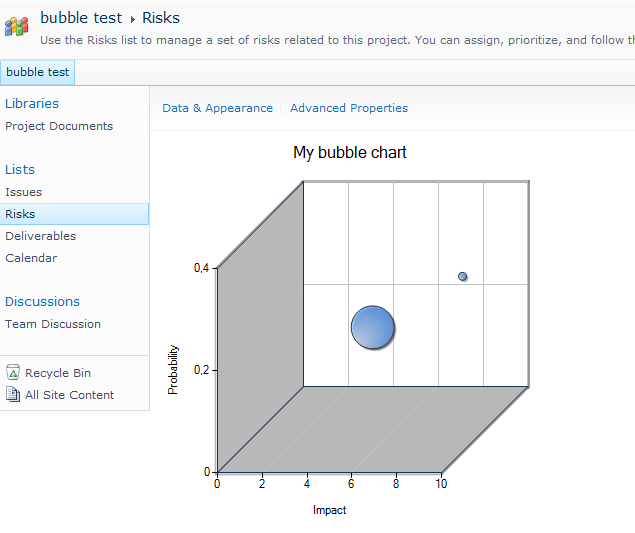 You should also make sure that the page you have inserted the new webpart on, also contains a list of all the risks including the information you want to create your bubble chart from. 7. 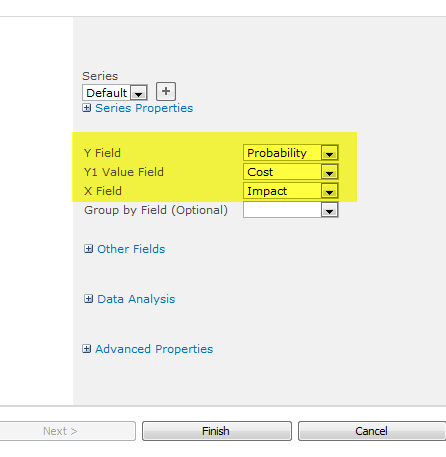 Connect to another webpart – in this case the out of the box risk list. 11. 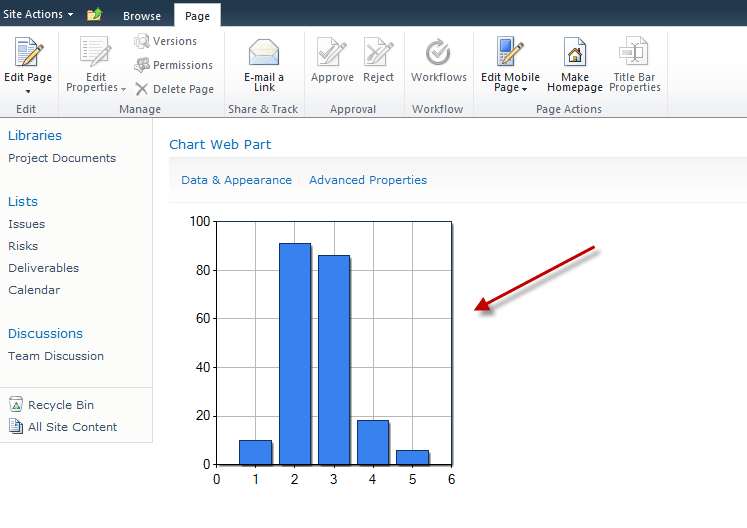 Now your webpart should look something like this (Title and axis titles are set up in the configuration of the chart type you selected – I will not go through this here as this is fairly easy to do). 13. Now you chart should like this and you are now ready to save your workspace as a template and use it for alle future workspaces in your Project Server 2010 environment. Remember that Titles, Colors, 3D graphs etc. 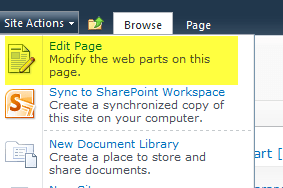 can all be modified by going through some of the other configuration pages the web part contains that I skipped in this guide. 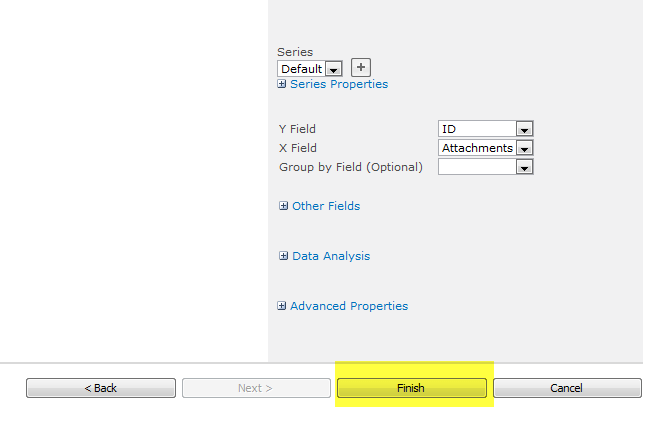 Next Post: Enter daily comments from your timesheets – free trial!